In case you are using Skype on Mac, you may have noticed that Skype starts automatically on Mac and keeps running in the background. 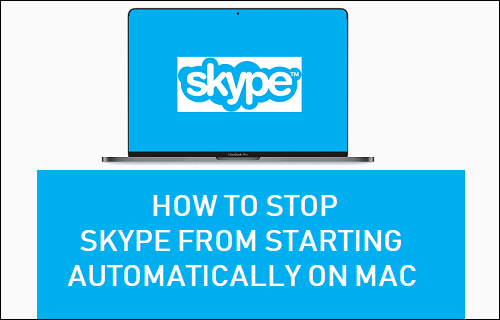 You will find below the steps to Stop Skype From Starting Automatically on Mac. Skype starts automatically on Mac, in order to make sure that your computer is always in a state of readiness to receive Skype Calls and Messages. However, the problem with this setup is that Skype starts along with your Mac and remains active and running in the background, consuming resources on your device. Since, Skype is known to be a resource intensive App, allowing Skype to start automatically with Mac and continue to run in the background can impact the performance of your Mac. Also, if you are only using Skype once in a while, there is no real benefit in allowing Skype to start automatically on your Mac and continue running in the background. 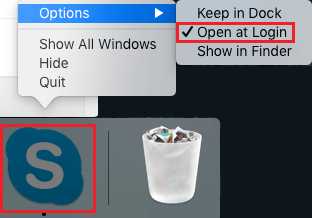 In case you are noticing slowdown or drop in performance of your Mac after installing Skype, it is likely that “Open at Login” option is checked for the Skype App on your Mac. Luckily, it is really easy to uncheck this option, in case you are able to access Skype from the Dock on your Mac. Right-click on the Skype icon located in the Dock of your Mac > hoover your mouse over Options and click on Open at Login option in the contextual menu. This will uncheck “Open at login” option and prevent Skype from starting automatically on Mac, the next time you start your computer. You can also Stop Skype From Starting Automatically on Mac by going to System Preferences. 1. Click on the Apple Icon located in the top menu bar of your Mac and click on System Preferences in the drop-down menu. 2. 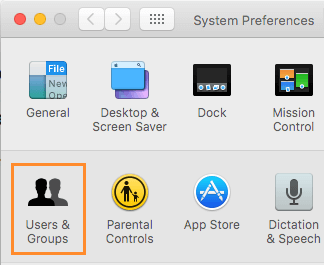 On the System Preferences screen, click on Users & Groups option. 3. On Users & Groups Screen, click on your Account Name > Login Items tab. 4. 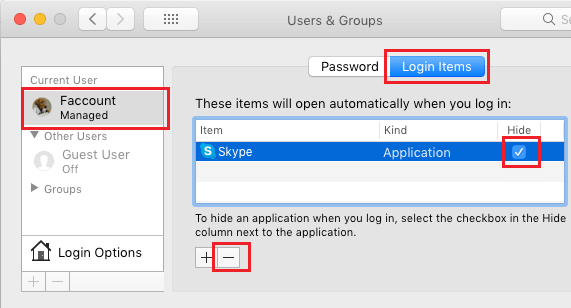 In Login Items window, select Skype and click on the minus “-” icon to remove Skype from the list of programs that are allowed to start automatically on Mac.